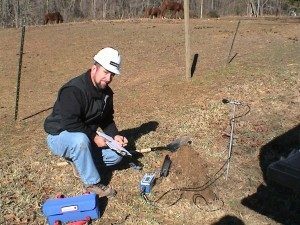 Seismic Surveys, Inc. provides a full range of high-quality geoscience consulting services in all of Texas, including Houston, Dallas, Fort Worth, San Antonio, El Paso, Austin, and Arlington. We serve customers in the engineering, construction, mining, demolition and explosives industries in the state of Texas. As specialists in measuring, monitoring, analyzing and controlling ground vibration and sound pressure effects, we help our Texas customers meet regulatory compliance, achieve positive public relations and protect against vibration related damage claims. As an authorized distributor for Instantel™ seismographs, SSI also offers seismograph sales and seismograph leasing in the state of Texas. A pre-construction survey serves to document pre-existing cracks that could become the subject of concern or a claim after construction begins. The survey serves as a baseline for monitoring any potential construction impacts on the structure and to identify potential structural conditions that might make the structure more sensitive to vibration effects. 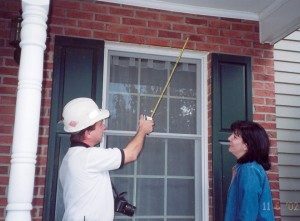 The pre-construction survey is a good public relations tool for educating neighbors about a project. Vibration or noise the neighbor may perceive as detrimental to their property, in our experience, will cause the owner to inspect their home more closely, causing them to find cracks they believe are new, yet pre-date the construction activities. This survey serves to preclude complaints and claims that often arise out of this common response. Using digital imagery and standardized forms, pre-construction surveys involve both exterior and interior photographic and written documentation of the various building materials and existing cracks. The locations and dimensions of pre-existing cracks within a structure are documented for future reference. Existing items such as foundation walls, drywall partitions, flooring, sidewalks, etc. are visually surveyed and noted. General details about the structure, such as age, purchase date, history of repairs, etc. are obtained from the building owner during the survey. The general building materials used in the construction of the structure, water supply type, etc. are also documented. 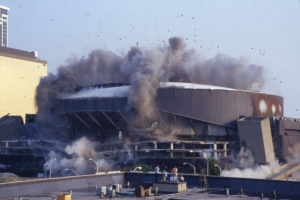 Ground vibration and air overpressure from blasting and other heavy construction sources are the cause for concern on many projects that take place in congested areas. These effects must be monitored and controlled to mitigate the risk of causing impacts to adjacent structures and equipment. Vibration and sound monitoring can be invaluable in addressing neighbor concerns from perceptible vibrations that are well within established safe structural standards. SSI’s independent use of seismographs and sound level meters to measure the vibration and sound levels transmitted to adjacent properties can prove to be a Contractor’s best tool for minimizing the risk of unwarranted claims and demonstrating regulatory compliance. We provide both Attended and Unattended Vibration and Sound Monitoring. Remote sound monitoring is another of our services. 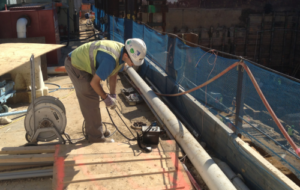 We employ remote vibration and sound level monitoring on dozens of long-term monitoring projects adjacent to mines and construction projects, and inside universities, hospitals, and museums throughout the mid-Atlantic region each year. We can design and implement a remote vibration and/or sound level monitoring program for your long-term project. SSI. 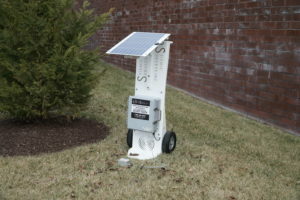 is an authorized distributor for Instantel™ seismographs. We offer the full line of MiniMate™ and BlastMate™ seismographs for sale and can facilitate your calibration and maintenance needs. If you are interested in a quotation for a seismograph or accessories purchase, or need to have a seismograph that you own serviced or calibrated, please contact us. We maintain a rental fleet of over 100 MiniMate Plus, BlastMate 3, and MiniMate Pro4 seismographs. If you are interested in a seismograph rental or remote seismograph applications, please contact us. SSI’s professional staff will develop a project specific plan for monitoring and controlling construction vibrations. We can be engaged to review the Contractor’s blast plan for projects specifying an independent licensed professional to perform these services. SSI’s staff has a combined experience of over 50 years on blasting and heavy construction projects in urban environments and can assist the Contractor in developing a plan for monitoring and controlling vibration effects for these projects. Our Principal is a licensed Professional Geologist in the Commonwealths of Pennsylvania and Virginia. Mr. Spaniol and Mr. Miller have held blaster’s licenses in Maryland and Virginia. They have been appointed to the Maryland Explosives Advisory Committee by the State Fire Marshal and are members of the committee that writes and reviews the Blasters’ license examination in the State of Maryland. When specifications require a third party review of your blast plan or seismic records, SSI can meet your needs. SSI installs and monitors slope inclinometers, tilt meters, crack gauges, extensometers and other geotechnical and structure monitoring instrumentation adjacent to construction projects in congested areas of Texas. © 2018 Seismic Surveys, Inc.